This month the unknown people out number the ancestors. ADDITIONAL NOTE: I REDACT THE YEAR OF BIRTH & PART OF THE NAMES OF PEOPLE WHO I’M AWARE OF, THAT ARE STILL LIVING, FOR THEIR PROTECTION. * MATIE ROBSON Nov 24 ‘72 Feb 21, ? That’s a total of 17 names. I am very fortunate to have this kind of list from my grandmother. TEN of the names are still waiting for me to find their connections. I have them in my Legacy database as unlinked individuals. 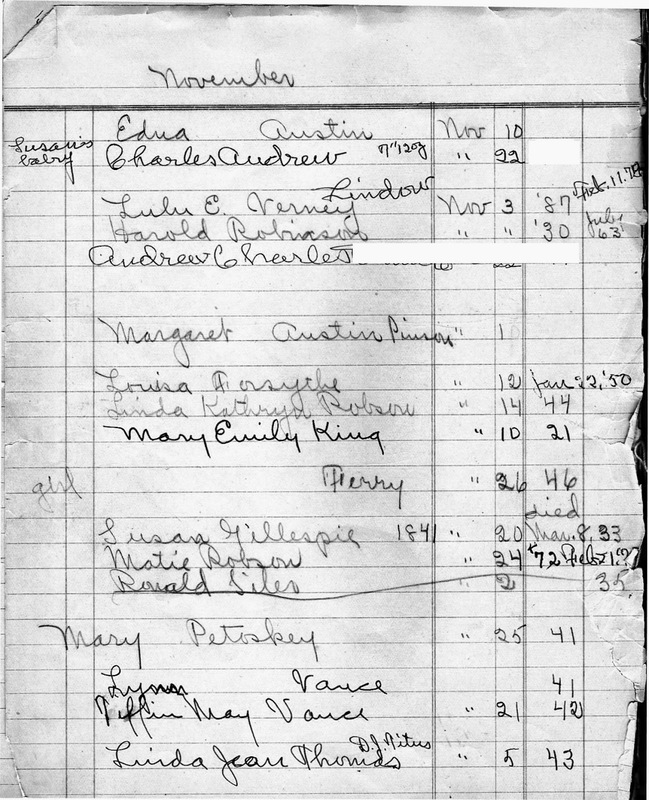 Were they friends of my grandmother & grandfather, neighbors, or are they all family? This month I have photographs of two of the people on the list. 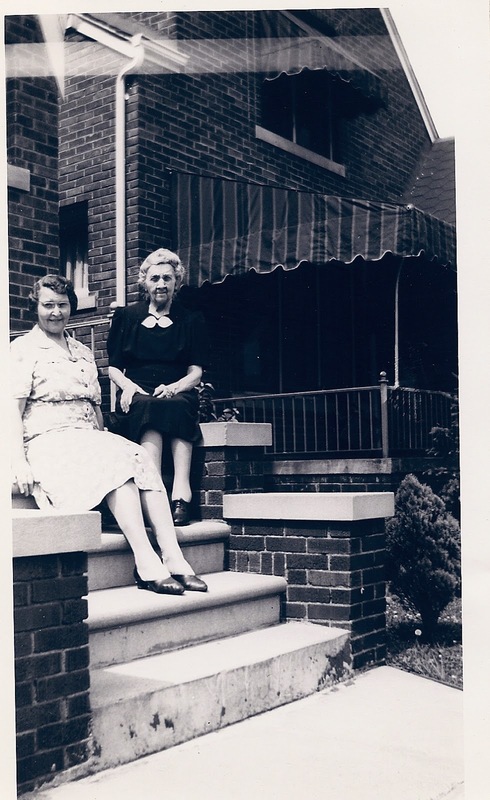 These two ancestors are grandmother & granddaughter to one another. My 2nd great grandmother, Susan Burgess Gillespie 20 Nov 1841, Barnstaple, Devon, England to 8 Mar 1933, Detroit, Wayne, Michigan. My 1st cousin twice removed, Louise “Lulu E. Verney, 3 Nov 1887, Toronto, York, Ontario, Canada to 11 Feb 1974, Detroit, Wayne, Michigan. “Lulu” is Susan Gillespie’s granddaughter via her son, James Burgess Gillespie. Here are Lulu (on the left) and Susan on the right. I’m not sure where or when this photo was taken. 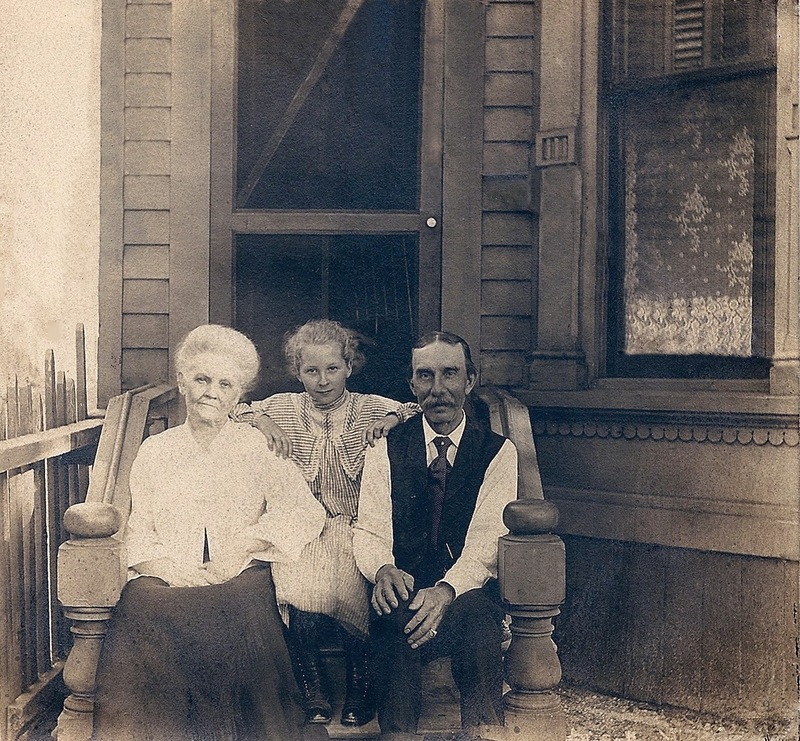 Below is a picture of Susan Burgess Gillespie with her husband Joseph Gillespie and their granddaughter, Irene “Peggy” Marie Milne (1893-1989). This photo would have been around the turn of the century 1900-1903.